Mother's Day is only a month away so time to create a special card for a special lady. Debbie Frost has designed this beautiful mixed media card. Craft canvas on a roll. Debbie has used the Stix2 with Heat Range and has started by using the Tim Holz Wildflowers dies with the Various Materials Sheet. She then sponged the die cut flowers softly with the pastel colours of the Versamagic pads before removing the paper backing sheet (a bit tricky but worth it!) and laying in place on the canvas which she had previously sponged with the Distress inks. Now cover the flowers with Parchment Paper and heat with the Craft Iron. It's important to leave the Parchment Paper in place until completely cold or you will peel off your design too! This effect gives a beautiful water colour look. She then glued the piece of canvas to a piece of lavender card and mounted to the left of the Stix2 Card Blank. Next she took a piece of the Double Sided Polyester Sheet and peeled off one backing paper to stick it onto a piece of card. 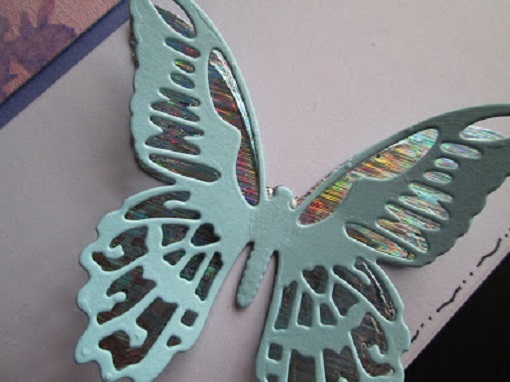 Debbie then die cut two butterflies using the Tim Holtz Detailed Butterflies set using the solid butterfly die. 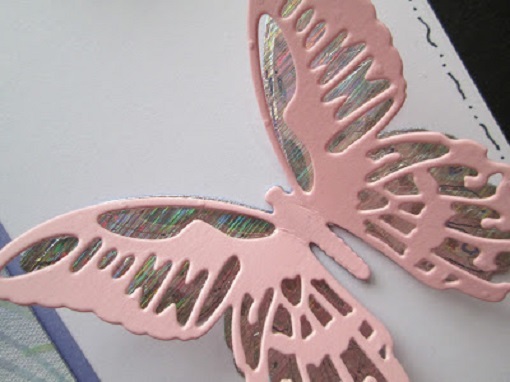 She also die cut two butterflies in Pink and Blue Tinted Card using the filigree die. She peeled off the remaining backing sheet on the "solid" butterflies and applied the hologram Silver Transfer Foil from the "Carnival" set. What a simple but stunning effect! Now simply lift the wings of the lacy butterfly and attach it to sit over the silver one. 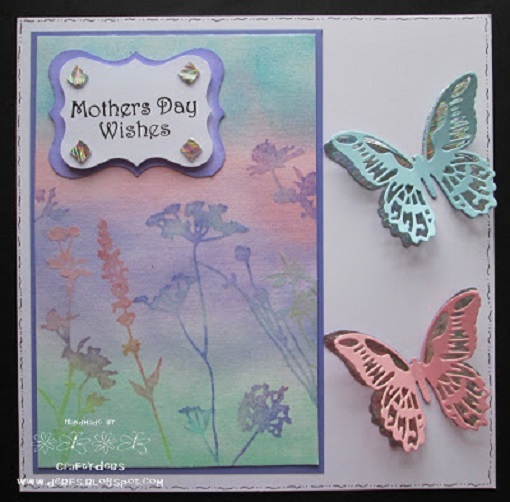 To finish Debbie has stuck the butterflies to the Card Blank along with the stamped sentiment and she has added some Clear Foam Pads covered with Transfer Foils as embellishments. To view more designs by Debbie please visit Crafty Debs. Only 6 days to go until Stitches 2017! The team will be heading to Birmingham to set up for the 19th. We’ve got tea and coffee as well as scones with jam and cream for everyone. 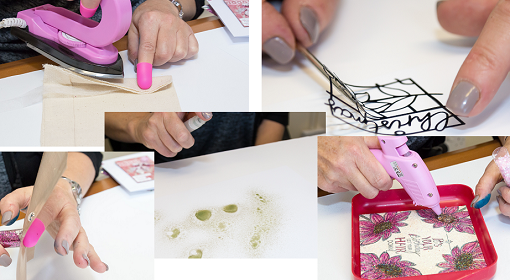 Workshops, Demonstrations and Make and Takes with Michelle, Karen and Sarah. You’ll love all the new products and our fantastic 2017 brochure, even more informative. 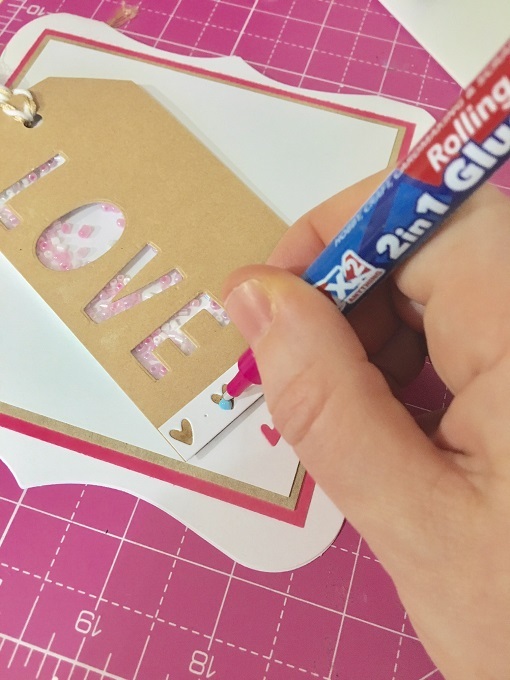 With Valentine's Day this week, you still have time to get creative like Clare Brown and make a beautiful card for that special somebody. 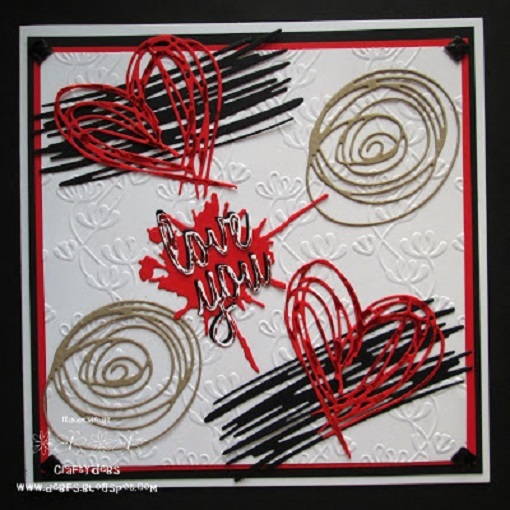 Clare has used a selection of Stix2 products to make this striking design. Alteration Tags needn't just be used for gift wrapping. 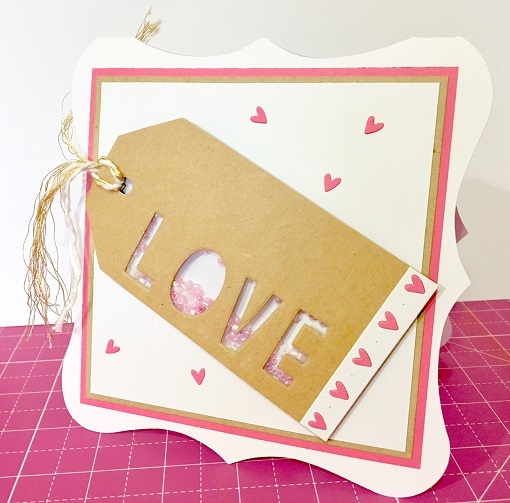 Make a centre piece for your design by die cutting some lettering, backing with some Extra Thick Acetate S57320 and filling with some Pink Seed Beads giving a shaker card effect. The fine metal nib of our 2 in 1 Glue Pen is ideal for applying glue to intricate parts of the design. 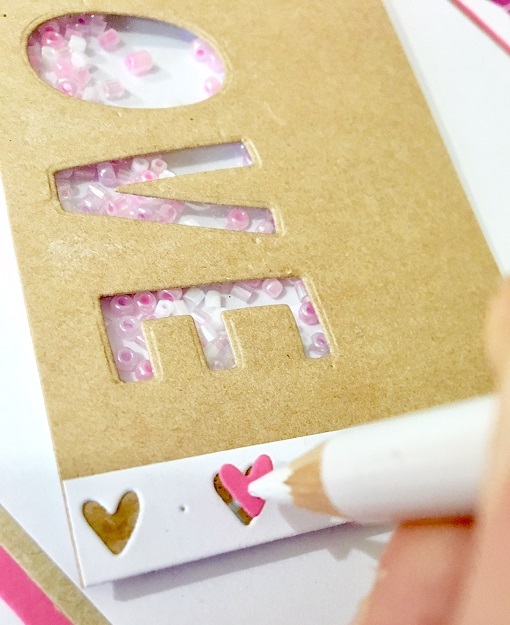 Use the Stix2 Pick Up Pencil to help position those small, fiddly embellishments. For further information on any of our Stix2 products, please contact us on 0191 2697810 or sales@stix2.co.uk. Be Inspired for Valentine's Day! The next big occasion on the crafty calendar is just around the corner - Valentine's Day. 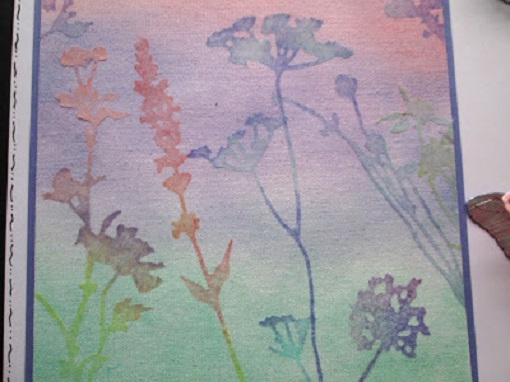 Be inspired by Debbie Frost and make a beautiful card for that special person in your life! Debbie has used a great quality Stix2 Card Blank (white 6" x 6") with Red, Black and Kraft A4 Card Sheets from our Tinted Card range. The new 2in1 Glue Pen is so useful with it's fine nib for applying glue to the intricate die cuts. If you look closely you can see that she has foiled parts of the design and sentiment using Stix2 Transfer Foils and the Glue Pen is handy for this too. Just apply to the parts you want to foil, leave to to go tacky and then apply the Transfer Foils. Debbie has finished the card off with Clear Foam Pads foiled with Black Transfer Foil at the corners of the design and they make a great embellishment. Soon the wedding season will be in full swing again so here's a pretty card to send to the happy couple or indeed for an anniversary made by Debbie Frost using Stix2 products. 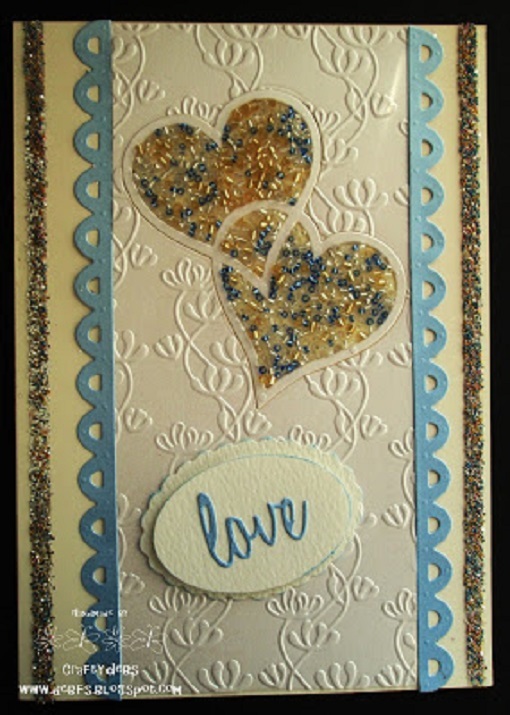 Using these Stix2 products, you too can create this beautiful card. Debbie has used a Stix2 A5 Ivory Card Blank and for the panel at the centre, she has die cut a piece of Ivory Pearl Card and then passed it through an embossing folder. The delicate blue edging has been die cut using the beautiful Stix2 Stardust Card in French Blue. She has placed a piece of Double Sided Polyester Ultra Sticky Sheet under the the die cut aperture before covering with Seed Beads from the Bead and Glitter Set. 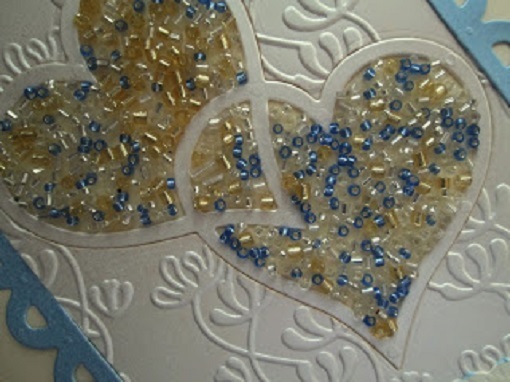 The borders at each side are created from the Micro Beads from the same set with the Ultra Sticky Tape. 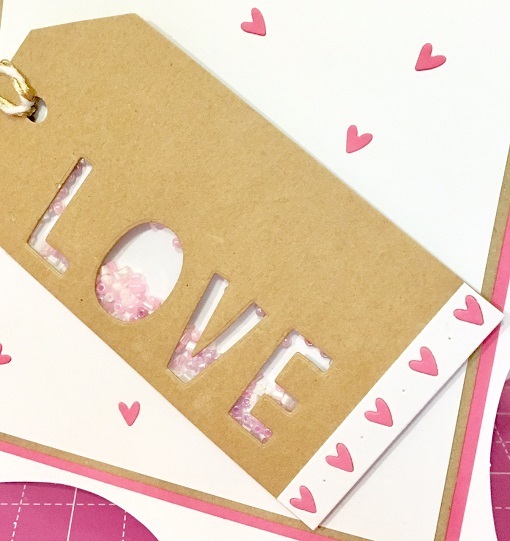 The two ovals which Debbie has used for the sentiment are Stix2 Die Cut Shapes - very handy as they layer together perfectly. Take a look at all of our fantastic Stix2 Tools and Storage products, some of which are NEW for 2017. NEW Finger Protectors – 2 silicone finger protectors, ideal for use with your Hotmelt Glue Gun and Gluesticks and Stix2 Craft Iron and Heat Adhesives. 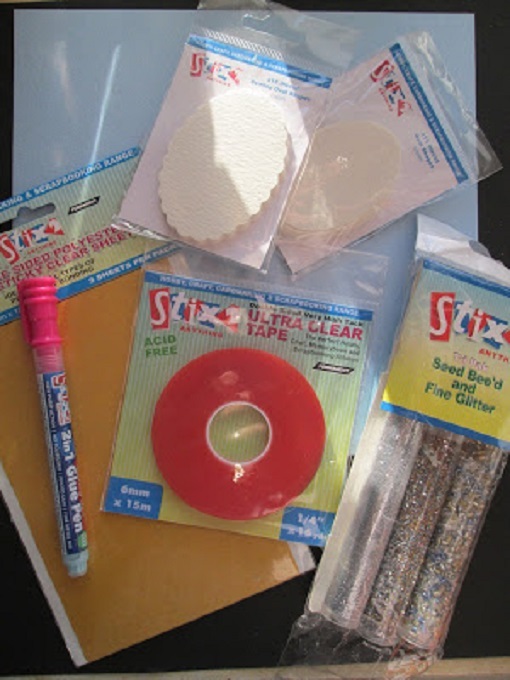 NEW Clean and Tidy Tray – keep your work surface clean and tidy when using glitter, beads, powder, gems etc. The funnel tip means you can easily pour back into tubes and bottles. NEW Pierce-It Tool – metal pointed tools, ideal for taking liner off tape and foam pads, lifting peel offs, popping out intricate pieces when die cutting and using with your Layer Perfect Tool. NEW Spritzer Bottles – spray bottles to mix your water, inks and paints. Layer Perfect Tools – in Metric and Imperial measurements. For matting, layering, measuring, drawing circles and curves and holes for faux stitching. Non Slip Grip – a removable clear grip you can pop onto all your tools and acrylic blocks to stop them sliding around. Pen Storage Bag – holds up to 42 pens and rolls away neatly for storage. A4 Magnetic Storage Sheet – punched ready to safely file away your magnetic dies. A4 Tabbed Storage Sheets – punched and tabbed ready to safely file away your rubber stamps. Pick Up Pencil – our unique pencil, perfect for picking and placing all your gems, stones, diamantes, pins, needles and embellishments. For further information about these or any of our Stix2 products, please contact 0191 2697810 or sales@stix2.co.uk.